Your non-profit organization may never have been successful without the help of your team of dedicated, committed, and hardworking volunteers. Aside from a simple pat at their back, why not recognize their efforts for your cause by giving them crystal awards? There are many ways to show your appreciation for your volunteers. You can also invite your volunteers over lunch or dinner. You can even hand them simple curios like a shirt. A simple “thank you” will even do. But you know you can always go beyond that. You can show your gratitude by putting up a special event just for them—an awards ceremony. After spending many hours helping out in office or field work, planning activities, and staying up late doing work for your organization without asking anything in return, your volunteers deserve to be well-appreciated. A crystal award, with its lasting beauty and elegance, can be the ideal material to give to your most deserving volunteers. Unlike precious metals, crystal won’t lose its luster over time. It maintains its brilliance, making it a meaningful symbol for those who’ve shown continued support for your cause. Appreciating their efforts encourage volunteers to help more. Giving awards to those who rendered their services unselfishly also inspires new volunteers to do more for the organization. Since they know that they are being appreciated by the organization they work for, they’ll also be more motivated to stay and give more of their time for your cause. Your volunteers are critical to the success of your cause, and they deserve to be appreciated with the best way possible. By giving volunteers a great incentive for doing their best, your organization continuously work towards making the world a better place to live in. 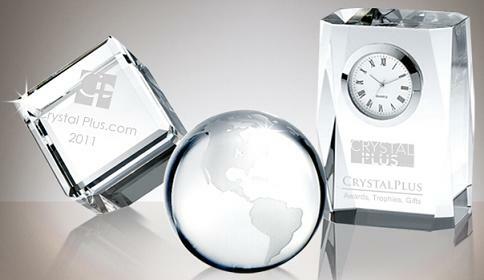 To look for crystal awards to hand to your most valuable volunteers, check out CrystalPlus.com.